This post is being sponsored by The Coca-ColaⓇ Company. All thoughts and opinions are my own. I cannot believe the holidays are right around the corner. It seems like the school year just started and here I am, decorating the house for Christmas and shopping for holiday presents. I love everything about this time of the year: the festive music, the spirit of the season, the gorgeous decor, and most of all … the sweets! One of my favorite treats that I enjoy making – and eating – during this time of year is fudge. 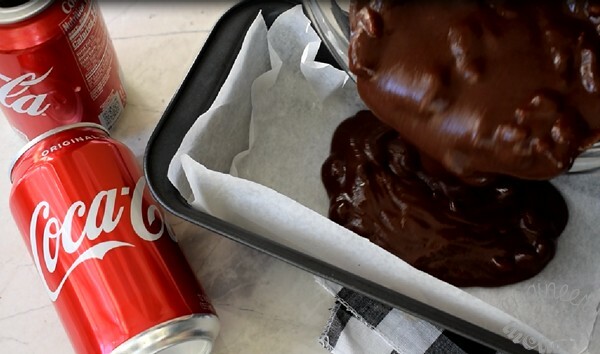 Today, I will be making some rich, chocolate-y fudge that is infused with the classic, delicious flavor of Coca-ColaⓇ and topped with a gooey caramel drizzle. This fudge is guaranteed to be your new favorite, too! 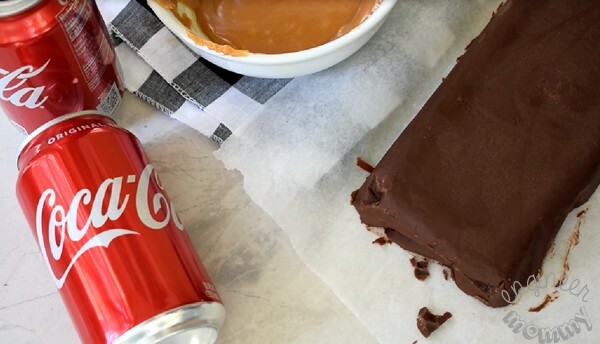 I love that Coca-ColaⓇ is an essential ingredient in this fudge. After all, Coca-ColaⓇ was a big part of my childhood memories of the holiday season. For me, this iconic drink has always been intrinsically connected with the spirit of the holiday season. Some memories involve watching Christmas movies in my pajamas while sipping Coca-ColaⓇ. Other memories involve heading to the movie theater with my family to enjoy the latest film together. Of course, we would have popcorn and Coca-ColaⓇ. Great company, delicious snacks and an icy cold Coca-ColaⓇ… that’s my idea of a great holiday! In fact, the taste of Coca-ColaⓇ is so uniquely versatile that I have used it in countless recipes over the years. From marinating meats to adding moisture to cakes, Coca-ColaⓇ is a multitasking powerhouse that surely needs to be on your shopping list this holiday season. 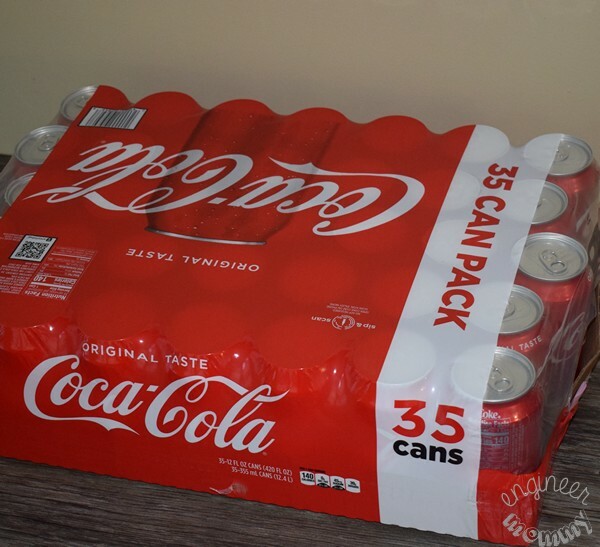 I picked up this 35-pack of Coca-ColaⓇ cans from Sam’s Club last week – it’s such a great deal on this holiday staple ingredient! Sam’s even has a great opportunity right now – win a trip to Los Angeles! 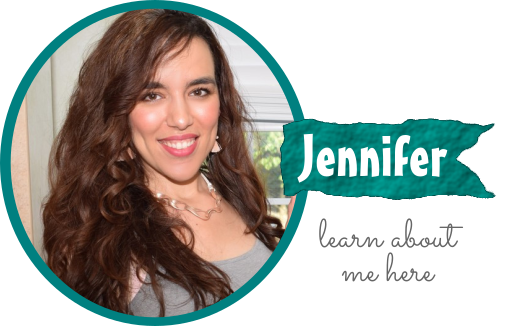 · Full on-site assistance from a personal winner manager throughout the trip Don’t miss this incredible opportunity! As a kid, Christmas was magical to me. Now as a mom, I feel like it’s my responsibility to make Christmas magical for my kids. How do I make that happen? We will occasionally drive around town and look at the houses decorated with hundreds of lights (just like I did with my parents). We will occasionally play Christmas music in the background while we do fun Christmas crafts together like making a Paper Plate Santa or a homemade ornament. We will occasionally go in the kitchen together to come up with a tasty, festive Christmas fudge recipe (just like I did with my mom growing up). To make this fudge recipe, start by gathering the ingredients you’ll need: chocolate chips, Coca-ColaⓇ, sweetened condensed milk, coconut oil and sugar. Combine all ingredients in a mixing bowl. Use a whisk to combine ingredients. Microwave in 10-second increments, stirring between intervals, until chocolate is melted. It took me about 30 seconds total. Add the extra chocolate chips and chopped walnuts, mixing to combine fully. Pour the mixture into a loaf pan that’s lined with parchment paper. Tap the pan against the table a few times to evenly disperse walnuts throughout chocolate mixture. Place the pan in the refrigerator for a few hours to chill. When it comes out, the fudge will be firm. Meanwhile, in a small microwave-safe bowl, melt a few caramel candies in 15-second increments until melted. *Do not overheat in the microwave to prevent caramel from burning. Use the parchment paper to lift the fudge out of the pan. You may need to peel the paper off the fudge in a few spots but it should come out cleanly. 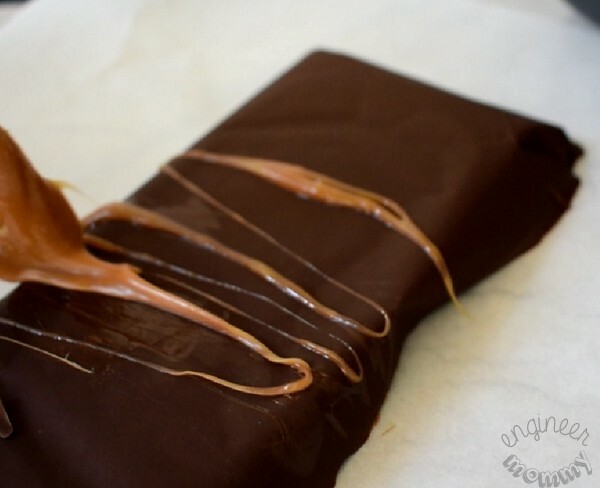 Using a fork, drizzle the warm caramel back and forth over the fudge bar. Coca-ColaⓇ Fudge with Caramel DrizzleUse a sharp knife to cut the fudge into little squares of Coca-ColaⓇ Fudge goodness. 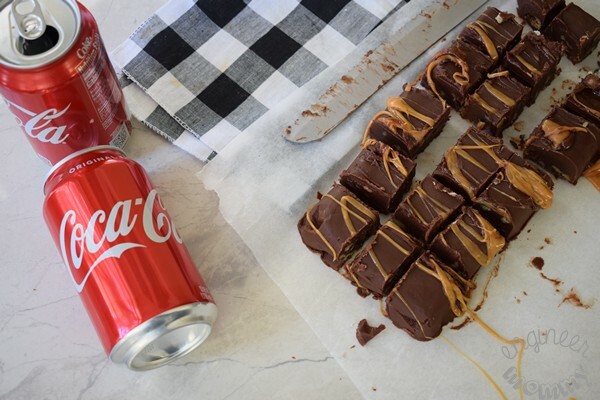 Coca-ColaⓇ Fudge with Caramel DrizzleThese would be perfect for giving away as gifts during the holiday season. 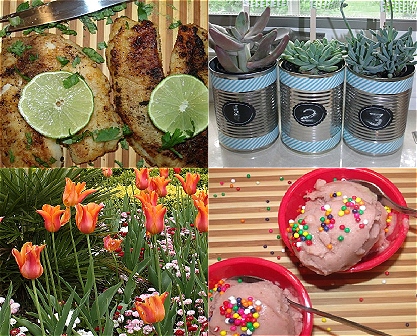 Simply throw a few in a mason jar and slap on a gift label. 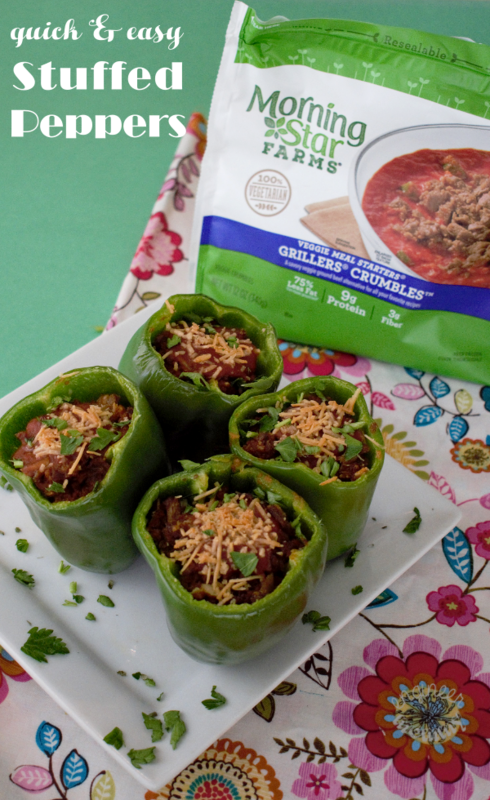 Easy peasy… and totally delicious! You could also serve a plate-full of these yummy treats at any of your holiday parties. The combination of sweet Coca-ColaⓇ, creamy chocolate, crunchy walnuts and decadent caramel is pure perfection! Just be sure to make enough- they will go fast, I promise! I speak from personal experience. 1. 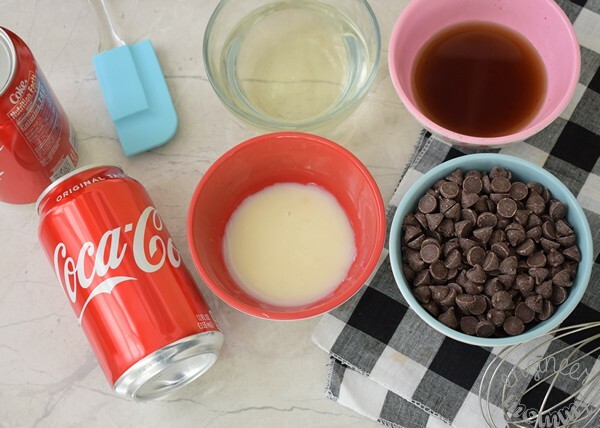 Combine the Coca-ColaⓇ, sweetened condensed milk, coconut oil, sugar and 1 cup of chocolate chips in a microwave-safe bowl. 2. 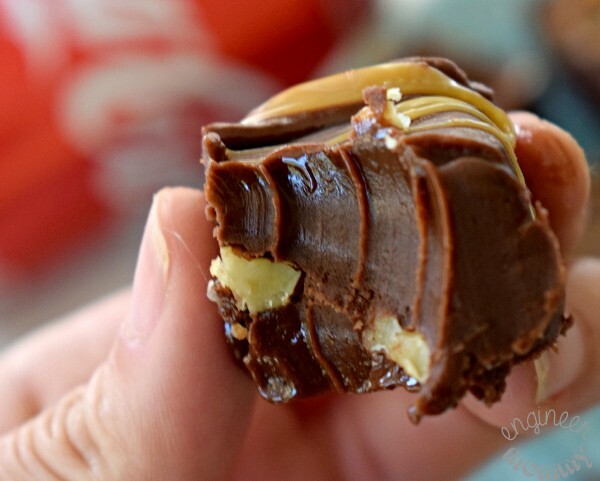 Place in the microwave in 10 second increments, stirring often to melt the chocolate. 3. Add the walnuts and the remaining chocolate chips to the mixture. Use a whisk to combine fully. 4. Place the mixture in a loaf pan lined with parchment paper. Place in refrigerator for a few hours to chill. 5. Meanwhile, combine the caramel candies and coconut oil in a separate small microwave-safe bowl. Microwave in 10-second increments, stirring often to melt the caramel. 6. 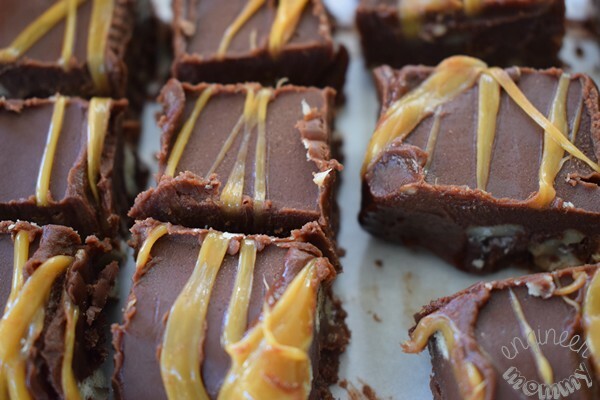 When the fudge has cooled, drizzle with warm caramel and cut into cubes. Serve immediately. 1. Fudge will soften at warmer temperatures, so it's best to serve it cool. 2. Walnuts can be replaced with your preference of nuts. 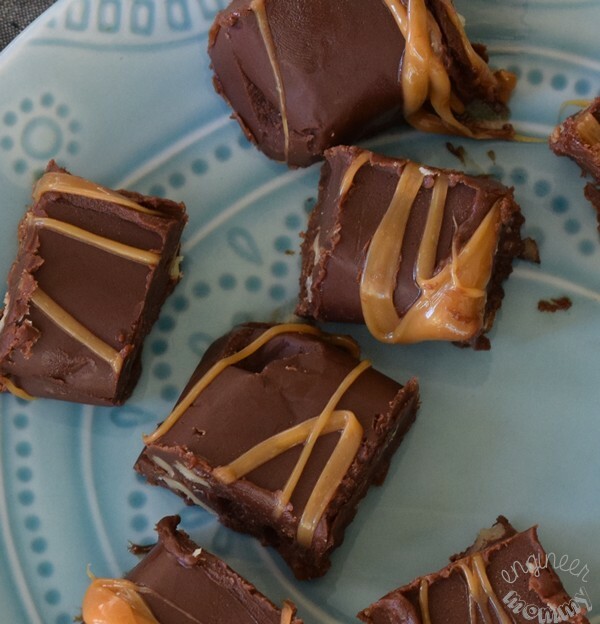 Check out this recipe video to see how this fudge came together! Are you gearing up for the holidays? 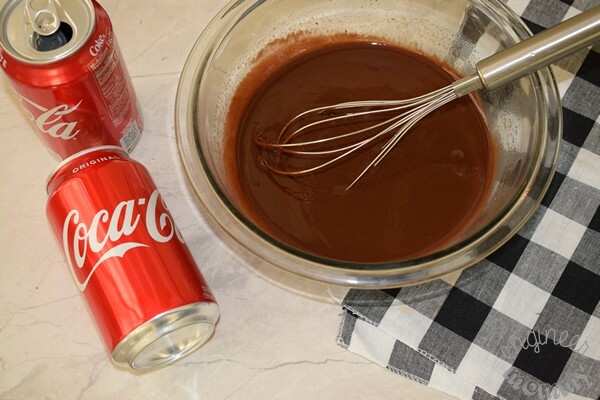 Have you ever made a sweet treat using Coca-ColaⓇ? What is your favorite holiday memory that you are continuing as a parent? “Coca-ColaⓇ” is a registered trademark of The Coca-ColaⓇ Company. Fudge is a favorite treat during the holidays. 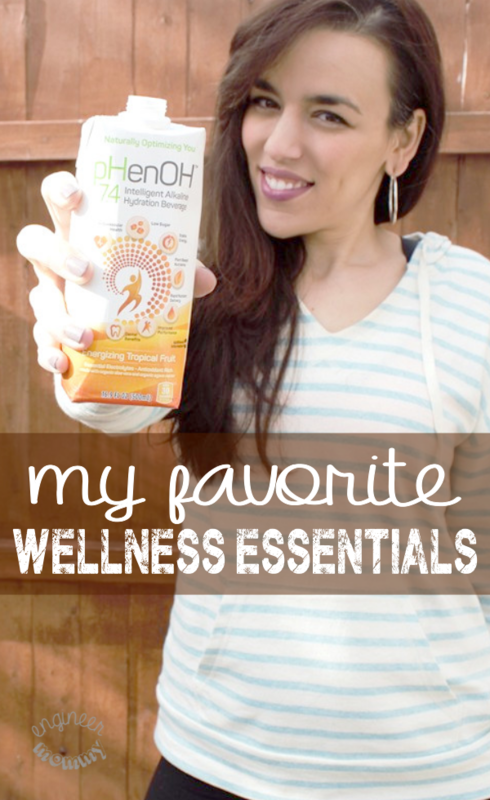 I must try your version made with my favorite beverage! It looks amazing! 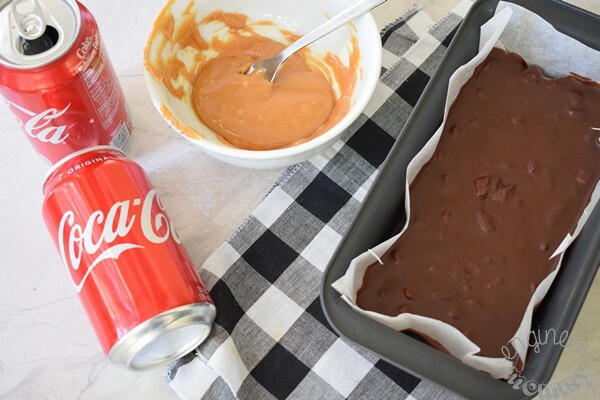 I would have never thought to add Coca Cola to fudge. What a great recipe. I bet it tastes like the icing on top of the Coca Cola cakes. Yum! It was sooo good! You totally have to try this recipe. 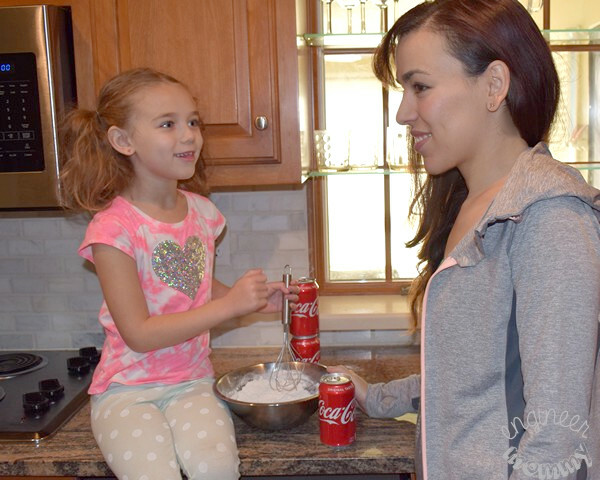 i usually associate coca cola with a lot of fun family memories. The fudge with caramel drizzle looks really like an indulgence since its really tasty. I’m a big fan of fudge and caramel. Add the two together and you have a perfect treat. Yes, I agree! Delicious match! This is a super cool idea! 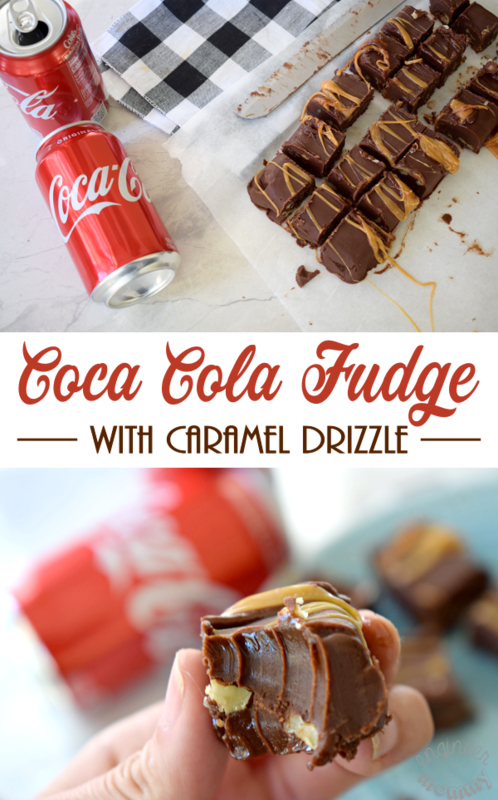 I am a coke person and love the flavor so I am totally going to make this! Oh yum, I would LOVE this. I’ve always pigged out on fudge. And I love my Coke! I didn’t know Coca Cola can be use as ingredient for fudge. This is so mouthwatering threats I want to try this for holiday dinner. I agree. These coca cola fudge bites would be nice homemade gifts for the holidays. I am going to look for some nice mason jars and ribbons to put these goodies in. 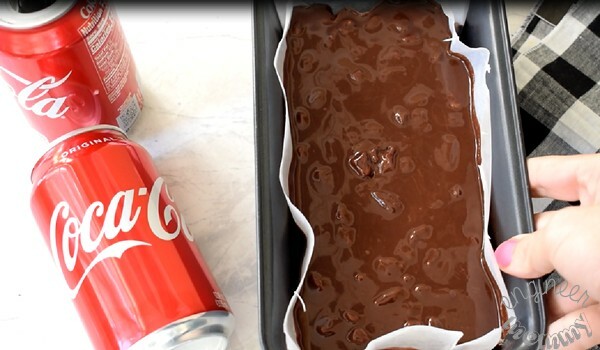 Oh my goodness, I would never have thought of using coca cola in a fudge but I bet it tastes absolutely delicious. I never even thought Coca-Cola could be used for cooking or baking! You just peeked my curiosity. I have been looking for a few treat recipes to make for this holiday season. I will have to get the ingredients I need to make some this weekend. Oh I love this! I could totally go for some of this fudge right now. I’m definitely interested in that flavor! Wow! 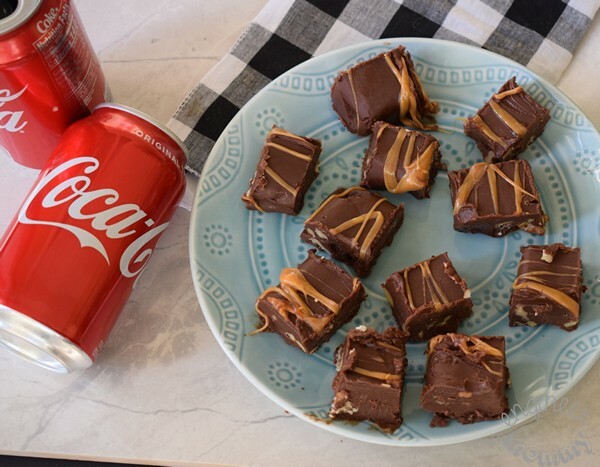 I’ve never heard of Coca-Cola fudge and I can’t wait to try this recipe for the office potluck. I seriously love fudge. Coca-Cola is my favorite drink. Caramel? Yes! Please! Somehow you have managed to merge all three of my favorites into this amazing recipe. Printing to make right away. So glad you’ll try this recipe! Hope you love it as much as we do! This would be a delicious dessert perfect for giving around the holidays! Great for company gatherings. I have never cooked with Coca Cola in recipes, but since I love to drink it maybe I should integrate it into my cooking repertoire. This fudge looks like the perfect holiday treat! What a sweet treat! My husband who love fudge would drool on this!The coke addition is very interesting. The Coca-Cola fudge looks amazing. The caramel twist is sure to give it that extra sweet tinge and make it irresistible. I totally forgot that there is fudge with coke! I remember my cousin saying this is how she makes hers too! So cool!